AkzoNobel has reported an enthusiastic response to its Imagine Chemistry initiative. It has attracted in more than 200 innovative ideas from chemistry start-ups, scientists, research groups and students around the world. Developed in conjunction with KPMG, Imagine Chemistry was launched to help solve real-life chemistry-related challenges – such as finding ways to revolutionize plastics recycling – as well as uncovering sustainable opportunities for AkzoNobel’s Specialty Chemicals businesses. 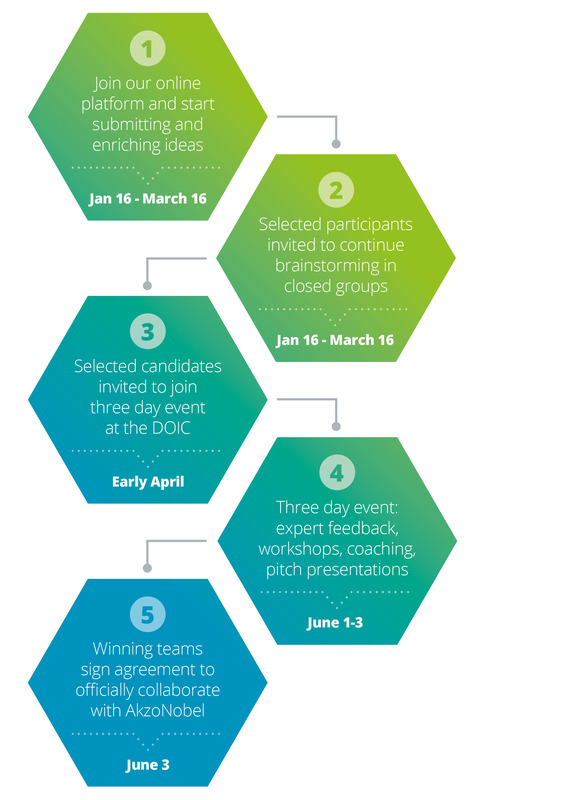 From the 200 submissions received, AkzoNobel will now select 20 finalists to attend a three-day event in June at the company’s principal research facility in Deventer, the Netherlands. There are also “open challenges” for broad ideas in two further areas: Highly reactive chemistry and technology; and sustainable alternatives to current technologies. Recent innovations from AkzoNobel’s Specialty Chemicals business include Bolikel XP, a next generation, biodegradable micronutrient to efficiently combat iron deficiency in crops; and Berol DR-B1, a safe and sustainable surfactant for consumer and commercial cleaning applications that involve direct release. Open innovation initiative will lead to new commercial opportunities for chemicals business. 2016 - TAPPSA. All Rights Reserved.